Looking to make sure your wedding guests have a ball at your Big Day? Check out these 15 awesome entertainment ideas, sure to impress! If you’re living for that iconic confetti moment when you burst out to a flurry of pretty paper petals flying through the air, you might want to up the ante with a state of the art confetti cannon! 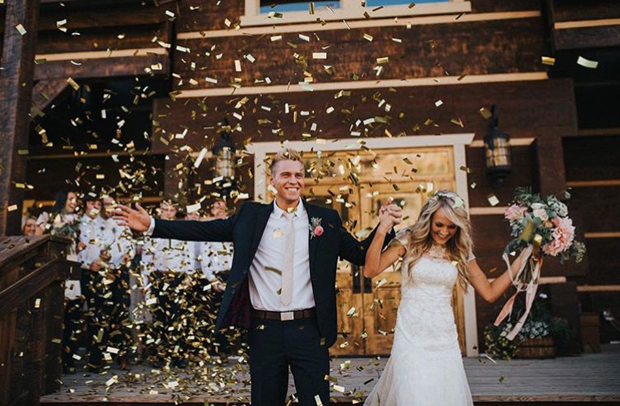 Available to rent from Confetti Solutions, these special cannons shoot out tons of pretty confetti petals creating quite possibly the most awesome exit or entrance ever (we love the idea of finishing off your first dance with a super pretty confetti shower too!). It will really up the fun factor and guests will love frolicking about in it afterwards. We may be in our 30s but the prospect of a 99 still gets us exited! 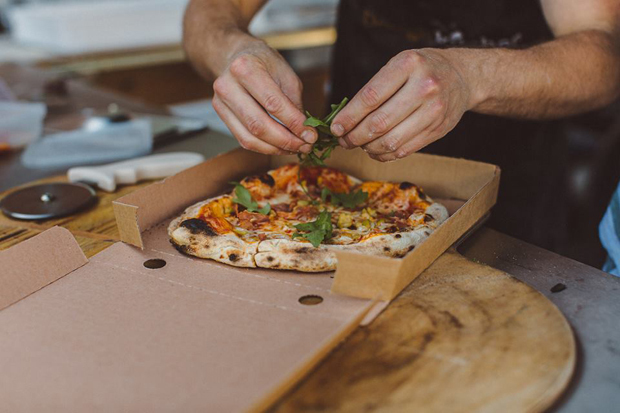 If your guests are anything like us, they’ll be only too happy to see this nostalgic blast from their past pull up kerbside for a post-ceremony treat. 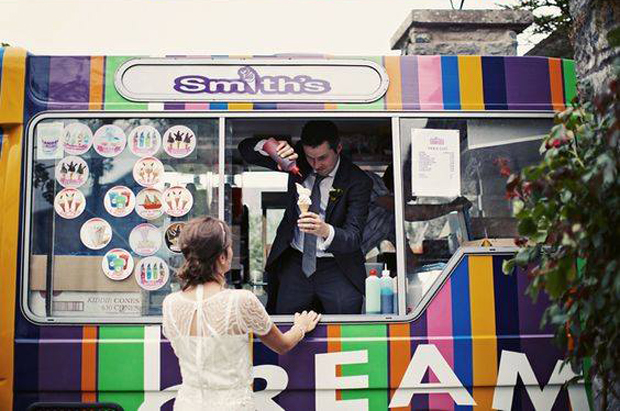 An ice cream van is a brilliant way to keep guests happy after the ceremony before their trip to the venue or if you’d rather, we’re sure they wouldn’t say no to a yummy 99 as a fun dessert alternative either. Freddie’s Ice Cream and Smith’s Ice Cream Vans both offer this service or if you’d rather a few scoops, Adare Farm have the cutest cart and can dish up 6 mouth-watering flavours in cones, wafers or bowls. If you’re looking for a fun way to liven up the courses and give your guests an epic surprise, this is a brilliant way to go about it! 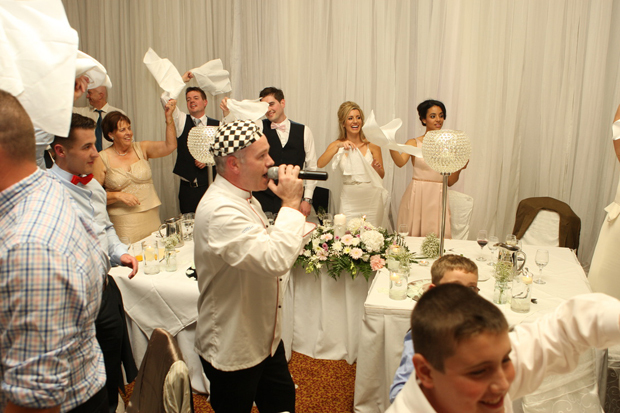 Johnny The Singing Chef is dressed just like a chef but he hasn’t been cooking up a storm in the kitchen, he is in fact a trained entertainer who breaks out in to song during dinner taking guests totally by surprise! Everyone will be singing and clapping along – a great way to get the party started. Like good food and music, little extras like entertainment can really make your guests’ day and one popular option is having a comedian pop by to get the party going! They’re a great way to keep guests amused during that lull before the band get started and it will have everyone in great spirits early on – there are several brilliant comedians on the Irish wedding circuit including De 2 Willies and Fired Up Weddings, that will have guests in tears with impersonations, funny skits and even dragging guests in on the antics. Or if magic’s more your thing and you’re obsessed with everyone from David Blaine to Dynamo, it could be good fun to work it in to your Big Day. 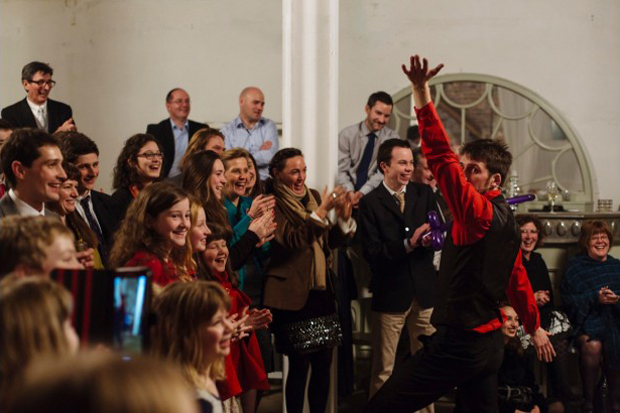 Magicians are a brill way to keep guests entertained and will amuse and amaze everyone with everything from mind reading and psychological illusions to mind-boggling card tricks (you’ll still be thinking about them eating your brekkie the next day). To find a magician for your wedding, check out the incredibly talented magicians below in the weddingsonline supplier directory. 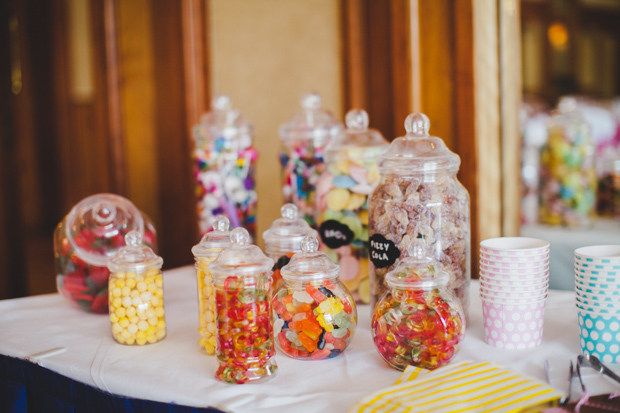 Candy buffets are always a big hit at weddings, no one can say no to a bit of a sugar hit after a stint on the dance floor! Guests will love it and you can always give yours a bit of a nostalgic twist by filling it with your childhood faves like cola bottles, macaroon bars and refreshers. It’s the perfect pick me up later in the evening or would make a great favour alternative – leave out some cute paper bags so guests can load up the jellies for the cab ride home. Another trend that has really taken off in the past few years is some post-ceremony games. 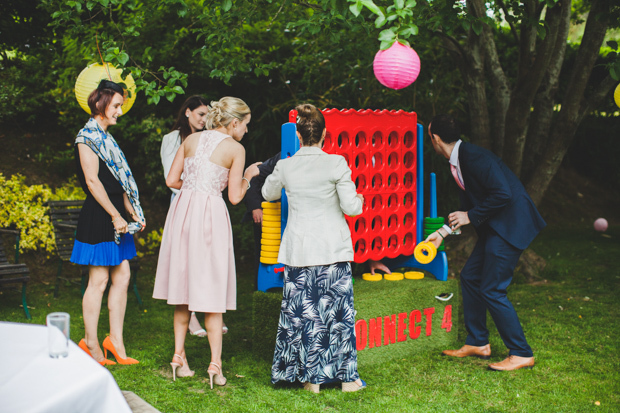 Games are a great way to keep guests amused during the drinks reception while you’re off with the photographer, and can be a bit of an ice breaker as well. Guests will love mingling over a game of giant Jenga, Croquet or Connect 4 with a couple of drinks or trying their hand at one of the latest crazes, old-school favourite Crazy Golf (FYI you can hire a mobile 9 hole crazy golf course from Irish company Crazy Golf Hire, which can be used both indoors and outdoors). 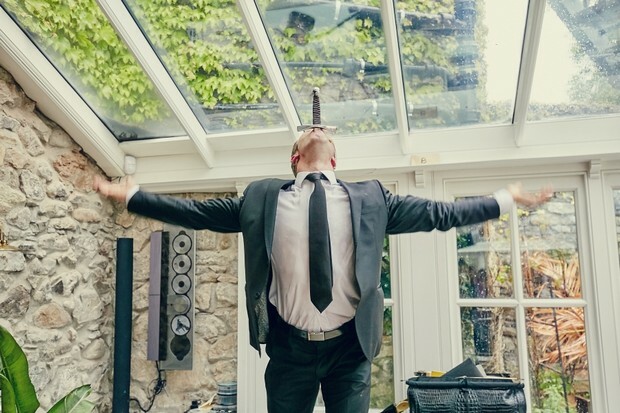 And if you’re looking to challenge your guests, The Ice Breaker Challenge – a series of games to test your balance and hand to eye co-ordination will defo keep guests on their toes and entertain onlookers. Or if you’re looking for some serious entertainment options like jugglers, face painters, fire breathers and stilt walkers to create a fun carnival vibe, be sure to check out Entertainers.ie who can source everything from mime artists to acrobats! The best favours are the personal ones – and combine it with a bit of entertainment and you’re on to a winner. 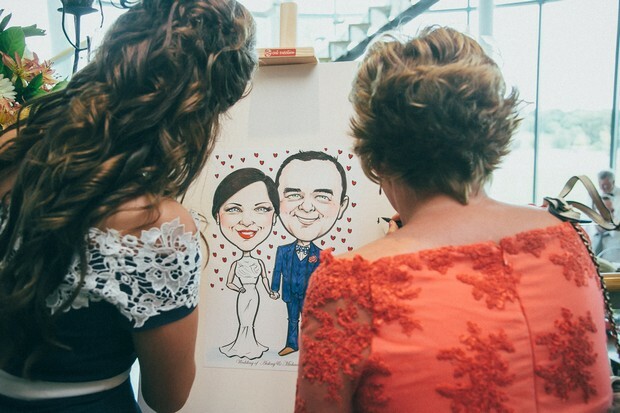 Crafty couples are using the cash they would have spent on individual favours and putting it towards something fun like a caricature artist who will live sketch at their Big Day – everyone can have a peek at the work in progress and have a giggle at the funny (or flattering?!) illustration guests get to take away! It’s a great keepsake idea and you can be sure you’ll see plenty of them hanging in your mates houses after the wedding. 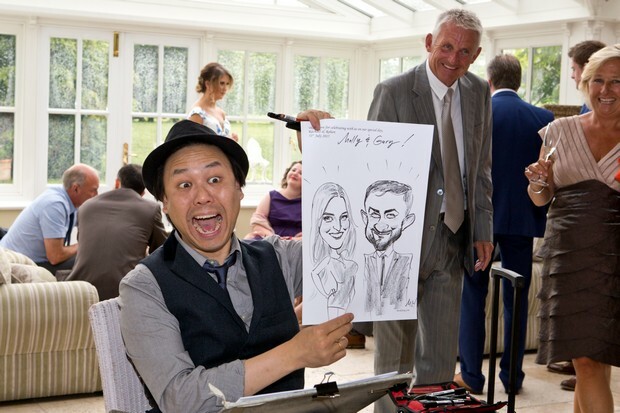 Ken Coogan Caricatures, Live Caricature Entertainment by Anita Foy, Andrew Goti Caricatures, Caricatures by Niall O’ Loughlin and Caricatures by Mark Heng all provide this awesome service. Or have one of these talented peeps make up a caricature of you guys and use it as a cute guest book! 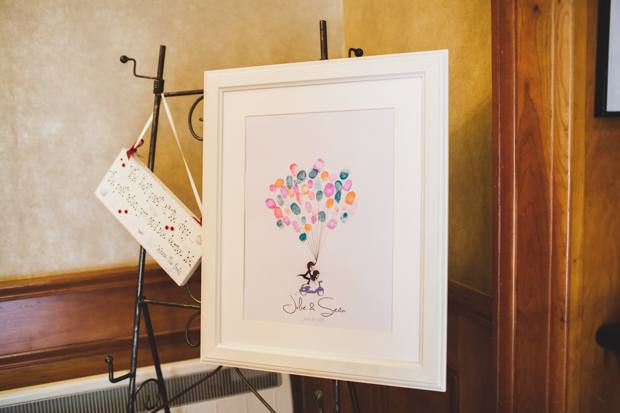 The guest book has really become a feature in itself over the years with lots of creative options out there guests will make it their mission to get to! While the more traditional hardback guest book is still a hit (and is perfect coffee table reading), couples are loving fun and interactive options like finger print trees, jenga guest books, jigsaws, fun polaroid guest books or even a cute framed caricature guests can add some well wishes to as lovely alternatives. It’s inevitable, someone is sure to break out a bit of Irish dancing on the dance floor and it’s always some serious craic. 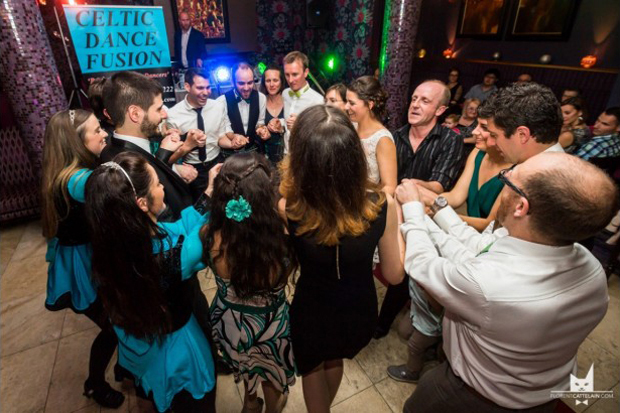 If you want to get the jigs and reels started early on and add some Irish flair to the occasion, get the professionals in to wow your guests with some proper Irish dance moves. Trained Irish Dancers Celtic Dance Fusion can come in and entertain guests with a fab medley of Irish dances or if you’re looking to combine some dancing with drumming and impressive choreography, dancing group The Hit Machine are worth checking out. Or if it’s a proper trad session you’re after, be sure to take a peek at trad band Dublin City Folk who’ll get an awesome ceili going later on. If you love your Blackjack or are mad for poker nights, this little idea will be right up your street. 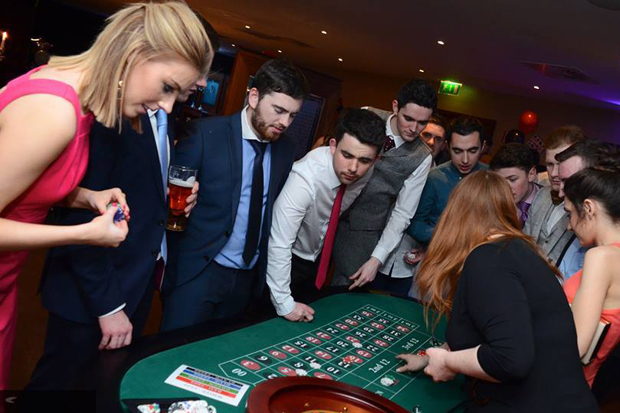 Games are all the rage at weddings but take it one step further with a full on casino night. You can have your very own casino night courtesy of Wedding Casino by Brennan Events with an MC and Hostess. Guests will receive the equivalent of €10,000 in chips to use at any of the tables with games throughout the night and even a final show down with the top players. It’s a great way to get the party in full swing and guests will love a bit of a flutter over some drinks before the band starts or even after the ceremony. For more info on Casino Nights, click here! The photo booth is defo one of the most popular entertainment options out there – guests LOVE It! 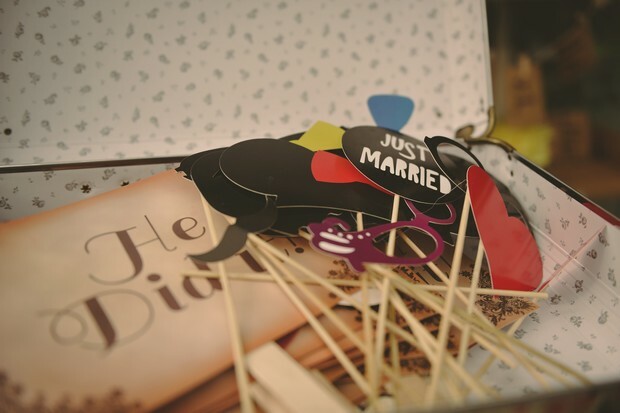 More and more couples are spending the money they would have spent on individual favors and splashing out on a photo booth instead as it’s a great way to give guests a little token from the day! There are lots of variations these days from simple backdrops guests can pose against to fancy photo booths manned with an attendant. And for the trendsetters, there’s even the Selfie Box, the latest take on the photo booth which will give you fun selfie style photos minus the stick! Whatever style you opt for, guests will flock to it (seriously, there’ll be queues all night) and the snaps are priceless – make sure you try and nab a copy for your own fun unofficial photo album. 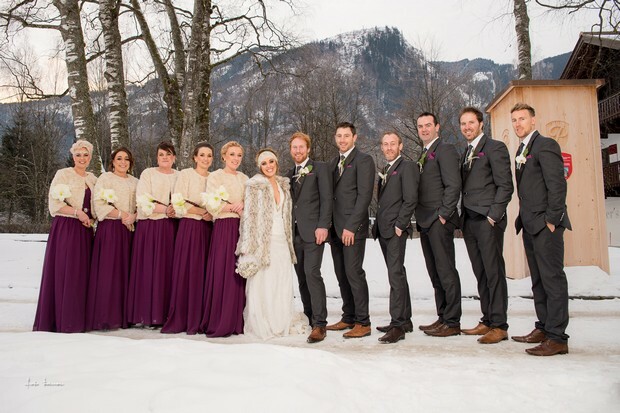 To find Photobooth Suppliers in Ireland click here! Late night eats have gotten way more interesting! Lots of awesome couples are treating their guests to seriously tasty midnight snacks serving up everything from tasty pizza slices (check out gourmet mobile pizza company Wedding Wood-Fired Pizza who whip up homemade wood-fired pizzas for anything from 50 to 500 people right there and then) to chip shop faves likes hotdogs, burgers, onion rings and chips smothered in curry or garlic cheese sauce courtesy of The Chip Van. Or if you’ve a sweet tooth, The Crepe Box can dish up delicious homemade sweet (or savoury) crepes with an assortment of yummy toppings. Check out more delicious foodie options here! 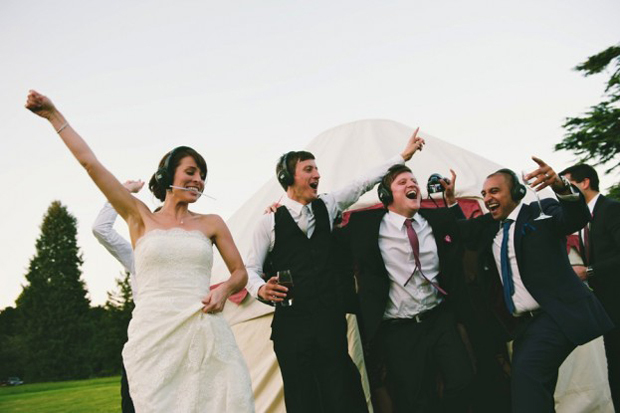 The dance floor is always a bit of fun and couples looking to really spice things up will love the Silent Disco concept. Irish company SilentDisco.ie are behind this unique way to get people up off their seats – guests get a pair of headphones with access to two channels so they can flick between them and dance away to the song of their choice as loud as they like, no matter where they are – even in the loo queue! For more info on SilentDisco.ie, click here. If you’re looking to floor your guests with the ending of all endings, this should pretty much do it! 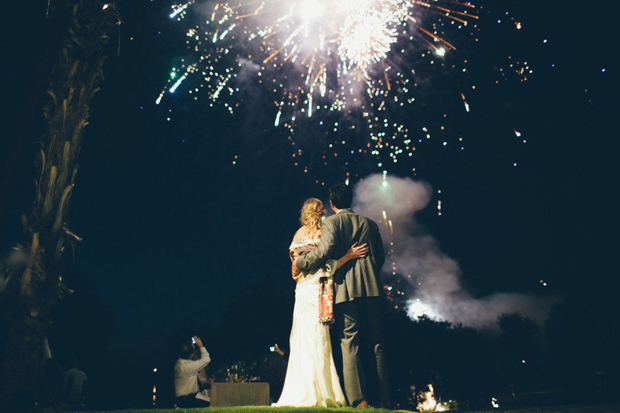 We can’t deny it, we love a good fireworks display and we can’t think of a more fitting ending to a fabulous day of celebrations with your loved ones than huddling together, taking in the gorgeous rainbow of colours lighting up the sky. And those pics would definitely make the photo album! Check out Irish company Nationwide Fireworks who can work with you and your budget to create a magical fireworks display to finish off your night.